While hiking on the Appalachian Trail with one of my dogs, I found her covered in ticks one evening. I managed to remove most of them with my fingers the first night but luckily a good samaritan working at a nearby grocery store saved our trip. Her sister was a vet and she kept a stock of Frontline just for all the backbackers with dogs that were being attacked by ticks. One dose of Frontline and all the ticks fell off within a few hours! So what do you do when your dog gets a tick? 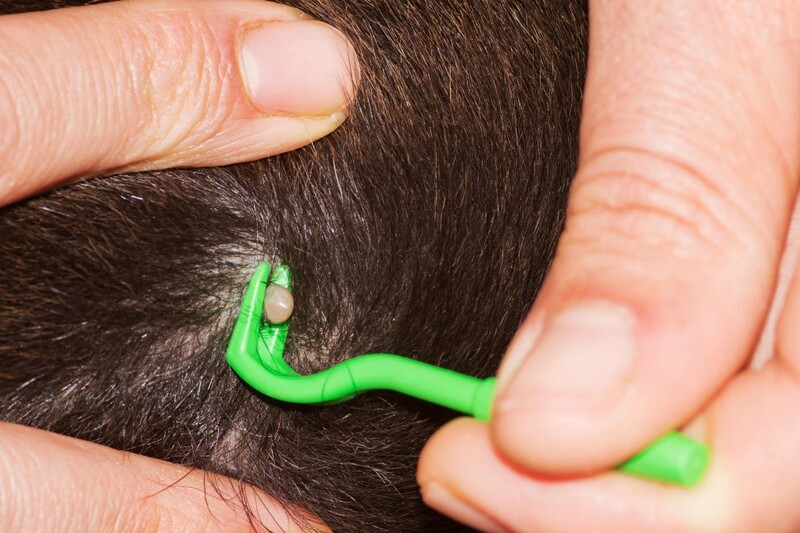 You can use tweezers, your fingers or a special tick remover tool (picture above) to pull the tick out. The key is not to twist – the head of the tick is under the skin and you don’t want it to break off. Wash the infected site with soap and water or rubbing alcohol. Remember that ticks carry infections, so try not to touch them or pop them. Watch for fever or inflammation and if your dog does get sick, be sure to mention the tick bite to your vet. Consider applying a tick repellant like Frontline if your dog will be exposed to more ticks in the near future. Good luck! Share your stories or your pictures with us!